So there I was, in a car, moving across country. The series of blog posts I wrote for the woman about moving has been turned into a book written from her point of view. I don’t even have my name on the cover (like Gemini does now that her short story, Rescued from the Rain is a stand alone short ebook). I can’t tell you how miffed I am. It’s a short book, about the length of a short story so it’s priced at .99 cents. She’s writing as Bonnie Elizabeth because she didn’t want to add her credentials to her name or create yet another author persona by writing without those credentials. 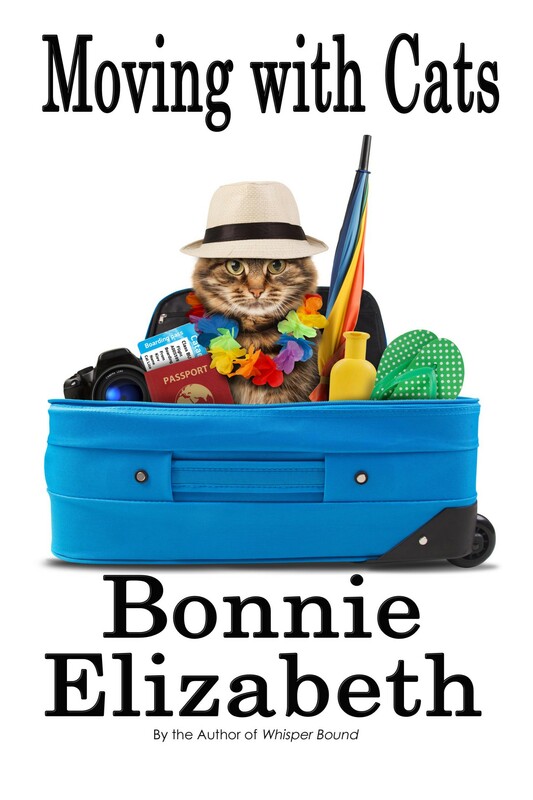 Besides, Bonnie Elizabeth often writes about cats in her fiction. Have you all met Zari A? She’s almost as good as I am, except of course, she’s not really a cat. If you are facing the horrifying prospect of having to move, find a box, curl up and nap. Then after your person is tired of packing, sit on them until they read Moving with Cats. It might help. It might not. Humans never listen to us about the important things. 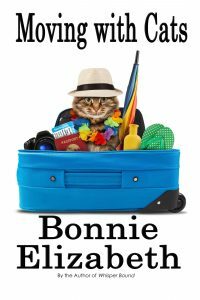 Moving with Cats is available on Amazon, Kobo, Barnes and Noble and most other favorite ebook retailers. So the end of the journey comes and you’ve arrived at the new home. It’s a good idea to use Feliway plugins in the main areas of the house you’ll be staying in at first. It’s also a good idea to give us a small space to start out in too. 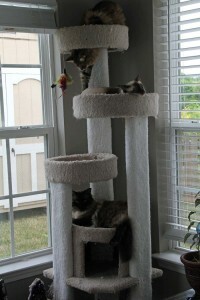 This time, the Woman started us with our large carrier in the sun room with the Feliway. (Note: this is not a game of Clue. No one was killed). We started there because the woman was having the carpets cleaned and there wasn’t carpet in the sun room. She also thought we’d like the sun. We weren’t interested so we stayed mostly in our carrier as there weren’t many places to hide. She stayed there with us most of the time. That night we were moved up to the master bedroom where we snoozed near them as much as possible. Actually we hid in the closet too. Have a room in the house for us to explore first and slowly let us make our way down to the rest of the house. Make sure we cannot escape when the movers are moving things in. Consider a Feliway plugin or other calming device in the room that will belong to the cats. After the moving in was done, we were moved back to the master bedroom with all our stuff. We were kept in there for the rest of the day and the night. The next day we were allowed out that evening for an hour or so under some supervision. Gemini and I did fine. Ichiro not so much. We were herded back up to the master bedroom, which was our final safe room, when the woman went to bed. For the next few days the door to the master bedroom was left open during the day and we could come and go as we pleased (or not). We continued to have a litter box in there and were fed up there. We had Feliway plugins. We were locked in there at night with the people. We continued this pattern for about ten days, when the woman noticed Ichiro exploring the house on his own. At that point she started feeding us downstairs but keeping some food and water upstairs in the same room. We continued to be locked in at night for a full two weeks. We were then allowed to explore the house as much as we wanted. There was no stress from anyone. In fact, Ichiro seems less stressed by visitors now than he was when we lived in our other homes. He likes to sit at the stop of the stairs and watch workers and delivery people. He sort of adopted the whole upstairs as his. He also has some other hiding spots downstairs in case he can’t get upstairs before the woman answers the door. But that’s just him. And that’s how easy it is to move with cats. Doesn’t it make you want to go traveling with yours? So you’re at the hotel. You have reservations. You’ve asked how many cats they take per room, right? Many only take two. At any rate, so now you’re going in. First the woman would always cover the carrier so we were less stressed should we see a stranger, or worse, a dog, as we went to the room. She would plugin our Feliway difuser somewhere it was easily noticed so that she would not forget it in the morning. Then she would examine the bed. Was the bed open underneath? If it had a box surrounding it, did the box come up to the wall. Was the box spring solid or did it offer openings that a creative cat could use to crawl under? If the bed was not completely open but the stand the bed was on was not flush with the wall, she would stuff her paper towel rolls in between those places. If the box spring looked like it had openings, well extra bed pillows were stuffed around the edges. Even the nice blanket that was our safety net was stuffed in one area. Please be aware that certain hotels will not allow more than one or two extra pillows so use them wisely. Our “smells like home blanket” that covered our carrier did double duty plugging mattress openings once or twice. For those open under the bed hotels, she really wishes she had taken a broom or something to force us to come out in the morning. Also, it would have been useful to persuade us to get out from behind dressers too! We were not typically interested in behind the dresser, although at home that would have been a great place for us. We preferred the under the bed or behind the curtains. Make sure you explore those places before you let the cats out and look carefully! Some box springs may only have one small place that it is not covered underneath, which means it’s kitty fun time if you miss it. If you have to stay some place overnight, knowing they accept pets is important. The woman found the best information on the Pets Welcome site. She did a fair amount of research into which hotels. She is also a AAA member so she used both sites. Pets Welcome stated if the hotel took dogs or cats or exotics. AAA merely state pets and left it up to the individual website to state whether the hotel took cats. Because of the more detailed information on Pets Welcome she used them. She also called to make sure they took cats and made reservations by phone. This is huge. She hates the phone. But this way she had a name and a reservation number with the information on tape should any of the places decide they did not want cats. None of them did, fortunately. She found that in general Motel 6 will take all pets. We also found that there were a lot of pet smells in Motel 6 and found it difficult to settle. La Quinta Inn will take pets and it was much easier for us to settle there, although it seemed as if we saw the same poodle and chihuahua every time we stayed in one. I was rather worried they were following us. Quality Inn and Comfort Inn also frequently accepted cats. Red Lion has a good pet policy but alas, they are more a west coast chain of hotels and there are not many of them anywhere any longer so we did not use them. Best Western accepts “pets” which is to say small dogs and there is a hotel by hotel choice to accept other pets. Holiday Inn sometimes accepts pets, which does include cats but not all of them. The woman was disappointed because back in 1968 when she traveled across country with her family and their cat they stayed at Holiday Inn because they accepted cats. Times change. Be sure to do your homework. Remember that many places only take up to two cats to a room! Next time, we’ll talk about what to watch out for in hotel rooms! We moved by car which meant that it was going to take us more than one day to get there. We were going to be moving from Seattle to Charlotte at the beginning of February. This brought up a number of concerns. First, I-90, the main route east, often gets a lot of snow at that time of the year. The Woman began watching the weather. She did not want to get stuck in a snow storm with three cats. She had her car winterized and checked over for driving. She began planning a route and where to stay based on how many miles she could travel. Google maps and Pet’s Welcome were a huge help here. The Male was going to be training in San Diego. He talked about coming back home to drive across the country with her so she wouldn’t have to do this alone. Then she thought, that’s silly. Why doesn’t she drive to San Diego and they could take the southern route which was far less likely to have snow during that time? So although it added a couple of days to her travel time, she did that. She didn’t actually get to San Diego. Instead they met up in Gallup, NM. The downside of this was that she had to drive through most of the really barren desert alone, something she hoped to avoid and she had to go one more day with having to handle us all on her own. As you can see there were factors in her route planning that went beyond the shortest distance between two points. The travel time was long enough that the Woman figured she’d make it as easy as possible even if it did go longer. First, she checked on the weather. In the spring or summer, the northern route would have been a no brainer, but in February it was iffy (although it turned out to be clear when she traveled). Second, she wanted to have someone else around. Friends across country were more than happy to offer homes or help in case she got stuck in various places but nothing beat having an extra pair of hands to help out when she had to stop at night. Consider your priorities! They will all be different. After deciding on a route, she planned hotels. We’ll talk more about that in an upcoming post. Moving: How Will You Travel? We’d like to thank some personal input from Waffles’ and Katie’s owner for talking with us about the differences between driving with a cat and flying with one. Waffles, being an easy going cat, traveled both by plane and by car by the time we were planning our move. The major issue, according to Waff and his person was the ability for Waffles to have control over his environment in the cat in a way he did not get to on a plane. First, you can travel by car or plane or perhaps by train or bus. The two most common ways of traveling are by plane or by car. In moves that take less than a day to drive, we recommend traveling by car. There’s more control. Longer moves can depend upon several factors, including if you would have to drive a car across country anyway, location of airports, personality of cats, comfort level of flying and how many pets you would have to transport on the aircraft. First, traveling by air has the advantage of getting the move over with for the cat. I like this. On the other hand, there is less control. You are subject to very noisy spaces and can’t control the sorts of people and smells the cat will be exposed to. You will have to remove the cat from the carrier to go through security. You do not get a private room for this. The travel day may be long if you have to change planes and wait at another airport, not to mention the stress of worrying about the time if you miss a connection. In addition to the stress of the airport, airlines typically have a limit on the number of in-cabin pets. Can you afford to make multiple trips? One of our neighbors flew her cats to her new home. She was subject to a large number of people complaining to her about taking her cat on board because it would cause them a problem with their allergies. She said for her and her cats, that was the hardest part. Some trustworthy place to leave the cat she wasn’t taking and then to leave the cats she was taking at the other end. If you make that choice, be sure to understand whether you will need a health certificate. Traveling by car gave her more control over our environment. While we weren’t allowed to sniff around and explore the environment like Waffles, we still had a much more protected area. Ichiro prefers to know where Gemini and I are at all times. He’s a busy body. That is one of the main reasons the woman put us all in one large carrier. It made him more comfortable. I was equally comfortable either way and she had an extra carrier if Gemini got pissed off with him. She did not. She seemed to like the company, which surprised us. It did mean that the woman had to plan for hotels carefully and she mostly ate junk she could pick up through the drive through so she didn’t leave us in the car too long. It was a stressful week, but everyone made it. She made sure the car was well serviced, that we were in good health, and that she had reservations at hotels who knew she was traveling with cats all along the way. In our next post, we will talk about how she picked hotels. We’d like to give a shout out to Coco Coture’s owner who made the vast majority of recommendations to the long distance part of this list. A good solid carrier. 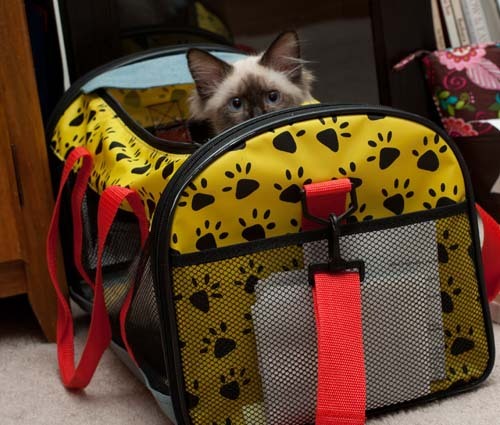 Longer moves might require a larger carrier so you can add in a litter pan and still allow the cat a place to sleep. You may also want to add a small water dish. 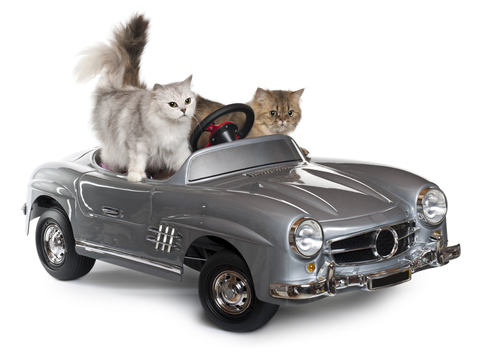 Further, multiple cats may travel better together so when planning a move consider that. Make sure whatever sort of carrier you have, it fits in the car or meets airline requirements and you can lift it with the available people around. A favorite blanket that has the smell of home. Paper dishes for food. This is easier than cleaning out in a hotel room and you won’t need to carry dish soap–however if you bring personal dishes, remember the soap and a towel! Litter box (es). We used disposable ones so they didn’t need to be cleaned and left in the car. We also had a kitten sized one for in the carrier. Plastic forks for food serving. These also came in handy for the woman when she purchased food to bring into the hotel. Cat treats to tempt us if we wouldn’t eat. Feliway wipes for putting into the car air conditioning vents or the defroster (we used both depending upon where we were). Thanks to the gang at A Tonk’s Tail for that one. It was invaluable. An extra cat carrier in case we got sick of each other. Of course not everything on that list applies to every move. We put the items that could be used on a shorter move towards the top. Three Types of Moves: Which is Yours? The first time the woman moved with cats, it was across town from an apartment to a house. That was easy. Cats were locked up in a bathroom while everything was moved out of the house. If there’s something to remember about moving: when moving items out of the house lock us, the cats in a safe room. In most cases, the woman has used a bathroom. Sometimes she used the bathroom in the old place and then moved us LAST to the new place on a short move. When she married the male, one time she did move us first and stayed with us in our safe room and unpacked some pre-moved boxes and let him deal with the hauling of things at the old place. That was quite smart, I thought. You have a safe room for your cats, all your cats (and dogs or fish or whatever, although fish are less likely to go running out the door if you leave it open). You have carriers to transport your cats safely. They can be the same ones you use for the vet. Yeah, we were short one nice carrier and used an adoption box for Gemini because the three of us never went to the vet all at one time. For the twenty minutes it took to drive to the new place, she did fine. Gemini got the box because she was small and she liked to hide in dark places. You have a safe room at the new place so we don’t run outside there either. Remember doors will be open now for things to be brought in! Microchips, just in case we do get out. The next sized move is the move that takes a few hours to arrive there. I did this move when the Woman moved up to Sammamish from Vancouver, WA to be with the Male (a sorrier move I have never seen). The drive time was about 3.5 hours. Carriers to transport your cats. Now here, the pet adoption box is much less user friendly. We were riding for over three hours and we’d be left in the car for at least one pit stop. All that caffeine the woman chugs while driving, well let’s just say that she has to make a stop. So the carriers need to be a bit friendlier with more space to move and stretch. 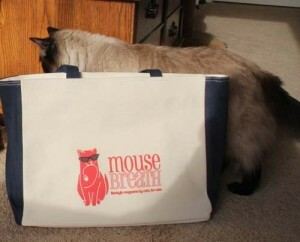 Ideally, we’d have had a litter pan but her car was loaded down and we made due without one. A safe room at the new place where we could be with our food, water, cat litter and beds while things were unloaded. Microchips just in case we got out. Knowing the laws in the new area about vaccinations and if you are crossing a state line (like California) whether or not you need a health certificate. Knowing which hotels took pets and reservations at the stopping places along the way. A trip plan so that the woman knew where to make reservations for herself, the male and the three of us. Knowing the weather reports (it was January for us, but because we were meeting the male in San Diego, where they trained him–don’t ask–, we went south and hit a bit of heat.). A decision on how to move us (by planes, trains, or automobiles). 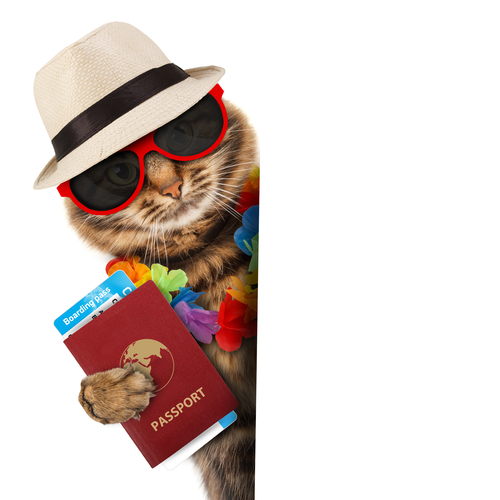 Understanding the necessary documentation we would need for the style of travel. Getting the documentation, vaccinations and a nice copy of our health records. We will go into more detail about the things we packed for this move and how we ended up moving in the next posts. So I get to blog about moving. The woman is writing a book on moving with cats. Yeah, because cats love to move. Sadly, the idea came from the fact that people realize cats hate to move and instead of not doing it, they were giving up their cats to the shelters. Which we think is appalling. Yes, I will say right now that I hated every moment of it. The fact that I hopped in the carrier as soon as the male started packing up his stuff had more to do with the fact that I didn’t want Ichiro to get the prime spot than any fear that I’d be left behind. She kept rejecting that option so she had to consider what might make us most comfortable for the move. She examined the sorts of things that made us the most comfortable and the things that would allow us to own our surroundings. She considered how Ichiro would be best with other cats and where he could boss us around (I really wish she had thought about how I like my space) and how Gemini doesn’t always like Ichiro but she doesn’t mind him when she’s scared. She considered that we would need our own food, litter box and things that made us comfortable, like my favorite cat bed that got packed at the last minute because it just did not fit in her car. NOTE: When moving with cats, realize we will take up three times the amount of space that you will. That’s just the way it is. 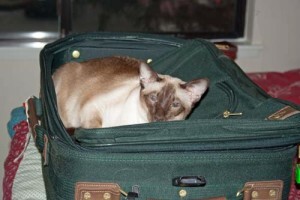 If you’ve decided upon a Siamese, you need to think about the Siamese you will bring into your home. Siamese cats are a breed known for longevity. You want the right fit and even though you’ve narrowed down the breed, you’ll need to find that specific Siamese. As you know, I’m taken. Do you want a pet quality Siamese cat? A show quality Siamese cat? An adult Siamese? A kitten? Older Siamese can be a delight to adopt. Although Siamese are typically popular at shelters and find homes quickly, adult cats are often harder to place than a kitten. If you aren’t enamored of the idea of a kitten, think about a young adult adoption. 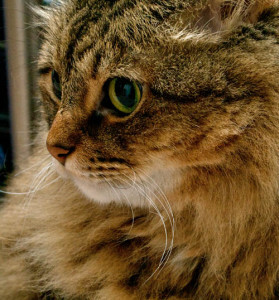 Breeders often “pet out” adult cats. This means they look for a home were it can be cared for as a pet. 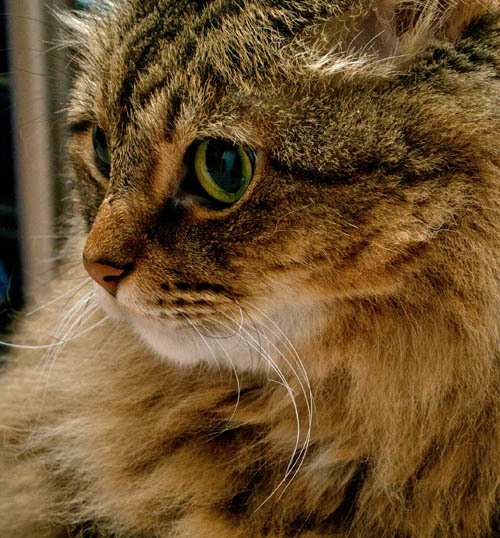 Some breeders will charge as little as the fee to spay the cat. Imagine, a show quality cat for the cost of the spay. Be sure to get the history of any adult cat you might choose. Some breeding cats are allowed the full run of the house, familiar with the the other cats around and love to have company. Others are much less enthusiastic about other cats. If you have a dog, you will want to know if the adult cat has been socialized around a dog. Many adult cats that you find haven’t been around dogs and it’s very difficult to socialize a cat to a dog if they haven’t been raised with one, especially if they spent any amount of time as an outdoor stray. The Cat Fancier’s Association (CFA) website offers listings of breeders if you are looking for an adult that might need a home (or for a kitten). 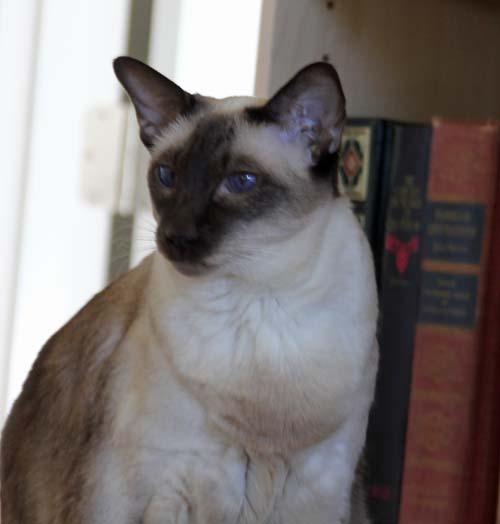 The Siamese Cat Rescue also has a great list of Siamese cats that are looking for home. Not all of them are “purebred” but many have the Siamese coloring and the endearing personalities of these cats. 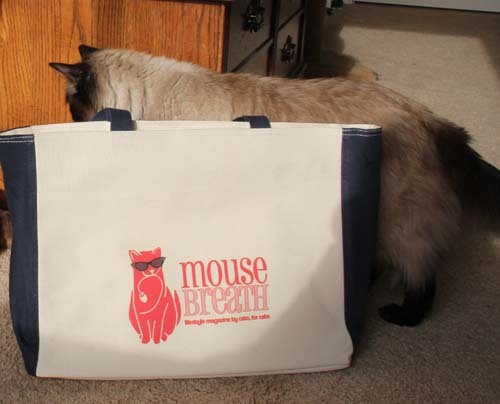 If you go to a breeder, either for an adult Siamese or a kitten, be sure to check them out. Stay away from breeders who seem to be in it for the money or if they offer a cat to you too quickly. A reputable breeder wants to know where their cats are going and will want to check your home out. Check with the CFA, with the veterinarian the breeder uses and with other people who have cats from that breeder. If you are choosing a kitten, make sure that it’s eyes and ears are clean. It should be bright and alert and playful. It should look interested in it’s surroundings and it’s eyes should follow moving objects (and perhaps it’s paw). Siamese are usually pretty friendly when they are young, so beware the cat who hangs back in the crowd. It could just be an unusually shy Siamese but it could be a sickly kitten. It’s not a good idea to adopt a kitten before 8 weeks of age and 12 weeks is even better. Although kittens are weaned quite young and can survive on their own, they learn a lot of good social skills from the mother cat. This includes good litter box habits. Avoid taking home a kitten who is younger than this, no matter how cute. Once home, be sure to have your cat or kitten checked out by your local veterinarian. They can set you up with a schedule of vaccinations. Be sure to take any records you get from the breeder or rescue to give to the veterinarian.